WEERIDE: FOR THE FAMILY ON THE GO! Something is changing, finally, in the way, we carry our smallest kids when we ride our bikes. Quickly, front-mounted bike seats are becoming more and more popular. Having your kid in front has lots of benefits: you can keep an eye on him better, he can see more and he will enjoy the ride a lot more being in front. There is interaction with your child that you simply cannot experience with outdated rear child seats! We are pleased to present at World Kids the WeeRide collection of Award Winning family cycling products, including their child front carriers that are are the ultimate in child comfort and safety. WeeRide is an American brand that belongs to Kent Bikes. It is the leading selling brand in the USA, UK, and Australia. WeeRide Spain was created at the end of 2012 and it is operative since mid-2013. Their front-mounted seat is a huge success. This innovative child carrier is attached to a center mounting bar between the handlebars and your own seat. The child’s weight is put in the center of the bike so cyclist and passenger are much more stable, and your little one is visible at all times. 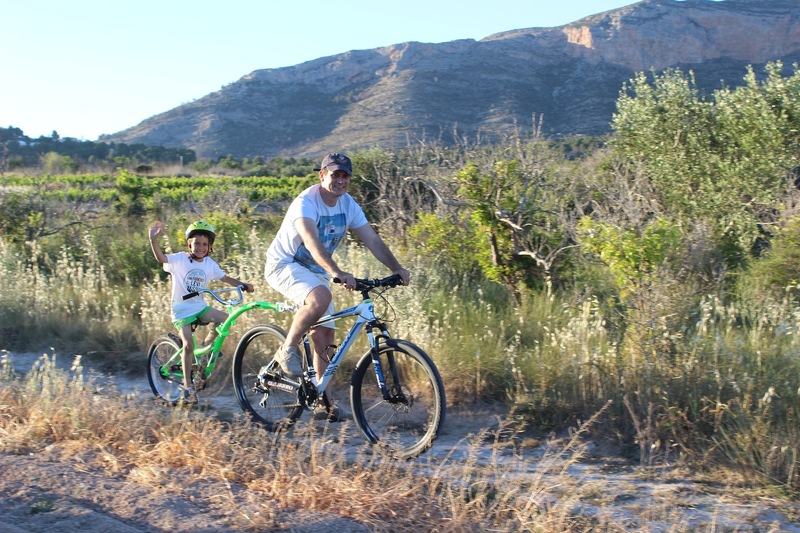 It is probably the best and most enjoyable means to add your children to the wonderful experience of cycling. In addition, the WeeRide child carrier comes with a pedestal in front of the child , which means weary passengers can rest their heads and fall asleep as mummy or daddy do all the hard work. It is a light seat that it is really easy to assemble. My youngest son is already 4 and a half years old, and he is too old for this carrier seat, and he is also too young to keep our rhythm with his own bike. I think this is a phase that we have all gone through and for which Wee Ride has also a wonderful solution: Co-Pilot®. 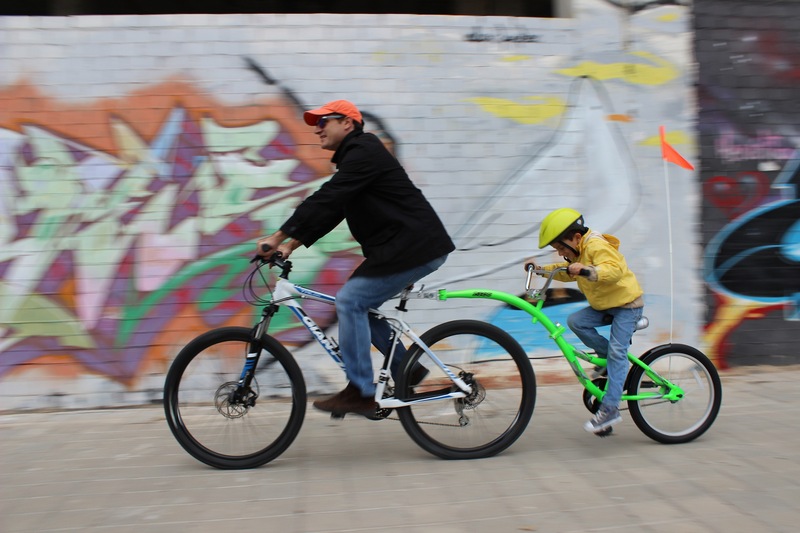 Co-Pilot might be probably the best and safest way to introduce your child to the exhilaration and freedom of bicycles, while still keeping them under your control. They can learn how to pedal and balance just like on their own two-wheeler. 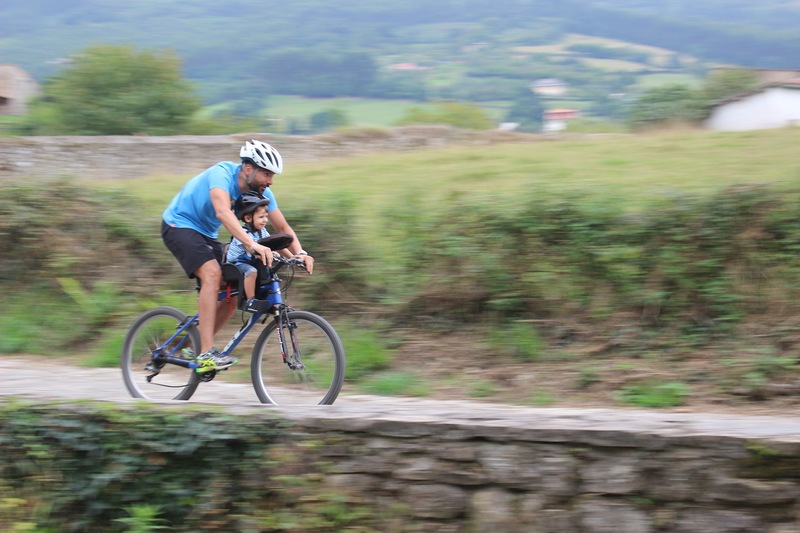 Wee Ride Pro-Pilot is great for the whole family. 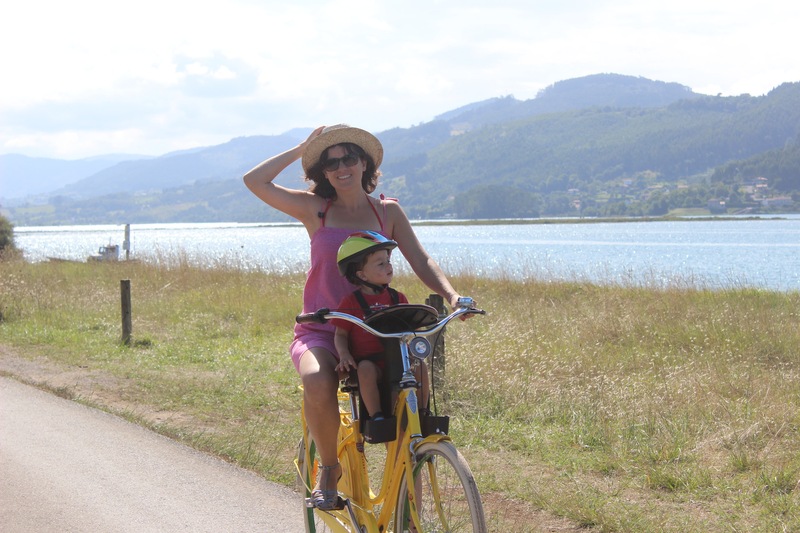 Your child can pedal to help you along, or just coast and enjoy the scenery. Either way, it’s fun for both of you. Attaches easily and quickly to almost any bicycle with a seat post, and it even comes with a safety flag to alert motorists. WeeRide continues to grow in Spain and very soon their catalog will also include their trailers. The Weeride Deluxe bicycle trailer and stroller is a great way to take your child along for the ride with you and your bicycle. The Deluxe trailer easily attaches to your bicycle for the occasional ride or for every day travels. It can easily be converted into a stroller for a trip to the park. The Weeride Deluxe is ready to go when you are! Please visit WeeRide’s website for more information about their products and online shop.